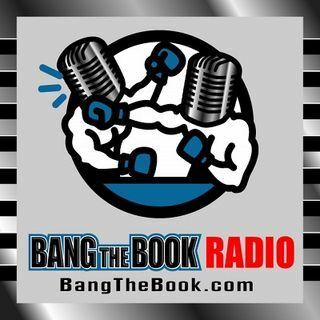 On the Friday March 15 edition of BangTheBook Radio, host Adam Burke was joined by Christian Pina of the Sports Gambling Podcast for a preview and some predictions on the UFC Fight Night 147 card. Adam and Christian took a look at the main event between Darren Till and Jorge Masvidal and also broke down Christian’s favorite picks and fights for this UFC on ESPN+ 5 fight card. The Till vs. Masvidal fight has a lot more attached to it than just betting odds and the guys talked about some ... See More different strategies and different betting angles that you have to consider in UFC. They also talked about Leon Edwards vs. Gunnar Nelson and Volkan Oezdemir vs. Dominick Reyes before jumping around the card to find other free picks and predictions from Christian.